Diesel Fuel Injectors for the Dodge Ram 5.9LCummins Diesel. The Dodge Cummins 5.9L has to be one of the most legendary engine platforms ever produced. The truck gets 20 plus miles per gallon with plenty of power. The Dodge Cummins 5.9L has a Bosch CRIN series diesel fuel injector, this was the first Common Rail Fuel System used on the 5.9L Cummins diesel. 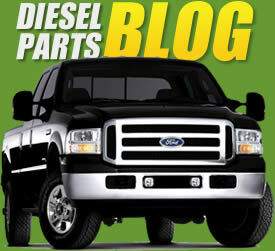 Dodge was one of the only trucks without an EGR system from 2003-2007. The Bosch common rail system enabled the Cummins 5.9L to meet EPA emissions without adding an EGR System and is what makes this truck is so desirable. The 2003-2004 Dodge Cummins 5.9L came with 305HP and 2005-2007 the HP was increased to 325HP. The change happened midyear 2004.5. The early version engine had a 144 degree 7-hole nozzle on the injector. The second version had a 124 degree 5-hole nozzle (these injectors are not interchangeable). Tamerx offers The TamerX remanufactured injector for these applications.